7mm also on clearance at 57.45 + 0.98 pp! Heat added, I was close to buying but want the newer model! 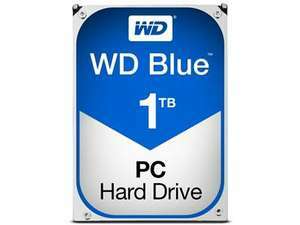 Good price but not convinced by this range as my 2.5" WD Blue SSHD failed within 2 years. Anyway, great drive, silent and as fast as a HD can be. Deal posting newbie! This is lilo27 first deal post. Help out by leaving a posting tip or just to show your appreciation for their contribution.